Always follow all federal and state laws and policies regarding educational content and trainer credentials. The purpose of National Pesticide Safety Education Month is to reinforce core principles of safe pesticide use with many audiences and raise awareness of and support for the land-grant university Pesticide Safety Education Programs (PSEPs). Invited Partners: Any group with an interest in the safe use of pesticides is invited to participate in National Pesticide Safety Education Month. For example: PSEPs, county agents, Master Gardeners, other extension educators, government agencies, registrants, formulators, manufacturers of sprayers/nozzles/adjuvants/safety equipment, distributors, dealers, retailers [large format retailers, garden centers, farm supply, family businesses, etc. ], pest management companies, commodity groups, crop advisors, farm bureaus, food and feed producers, professional societies, schools, golf courses, animal health groups, environmental protection and conservation groups, recyclers, and allied national/state associations/organizations that promote science and have a vested interest in the safe use of pesticides. To use the logo with your February pesticide safety education efforts, download it here. To use the trifold brochure or flyer to publicize this event, click on the desired version and print ‘two-sided/flip on short edge’, or post the flyer on your website. Fold the trifold twice, so the logo is on the front and the orange panel is on the back. Events and Venues: Training sessions, seminars, demos, pamphlets, videos, Q&A sessions, hands-on activities, etc., at the discretion of the partners. Target Audiences: Private and commercial applicators, homeowners, growers, apartment dwellers, farmworkers, students, technicians, salespeople, shoppers, legislators, and other interested members of the general public. 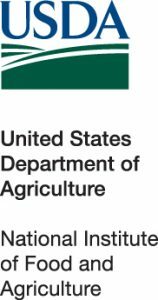 Publicity: Press releases, articles, webpage, videos, brochure and social media posts highlighting the purpose of National Pesticide Safety Education Month and the importance of the land-grant university Pesticide Safety Education Programs. This Webpage: Find information about National Pesticide Safety Education Month, including official sponsors, basic principles of safe use, educational links, a toolbox of ideas for participants, self-assessment questions, etc. Sponsorship: Go to ‘What Sponsorship Means’ to learn about the types of sponsorship and some of the impacts on pesticide safety education.